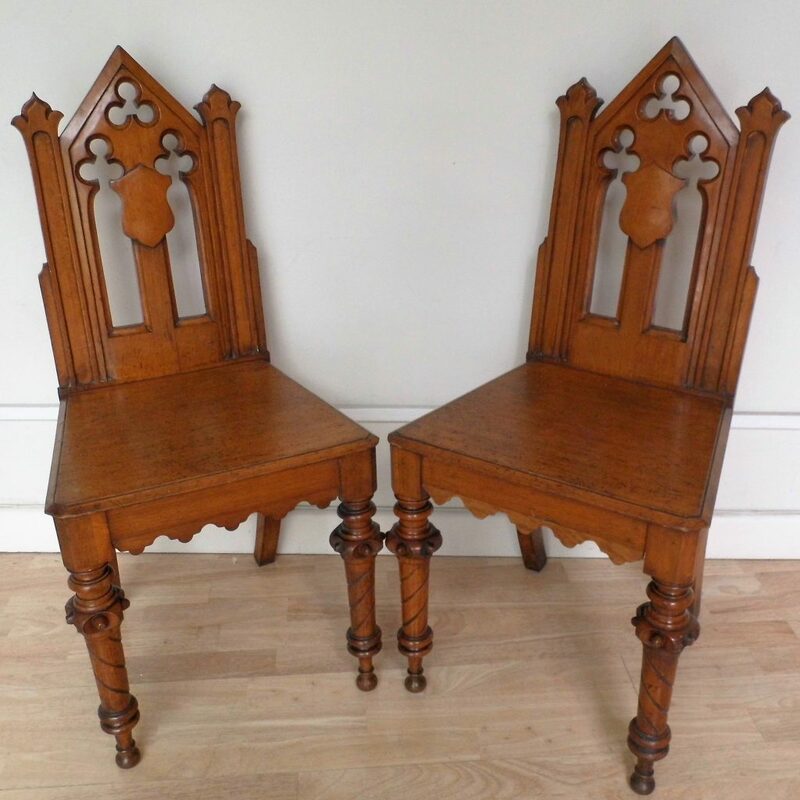 A fine pair of gothic oak hall chairs circa 1870. 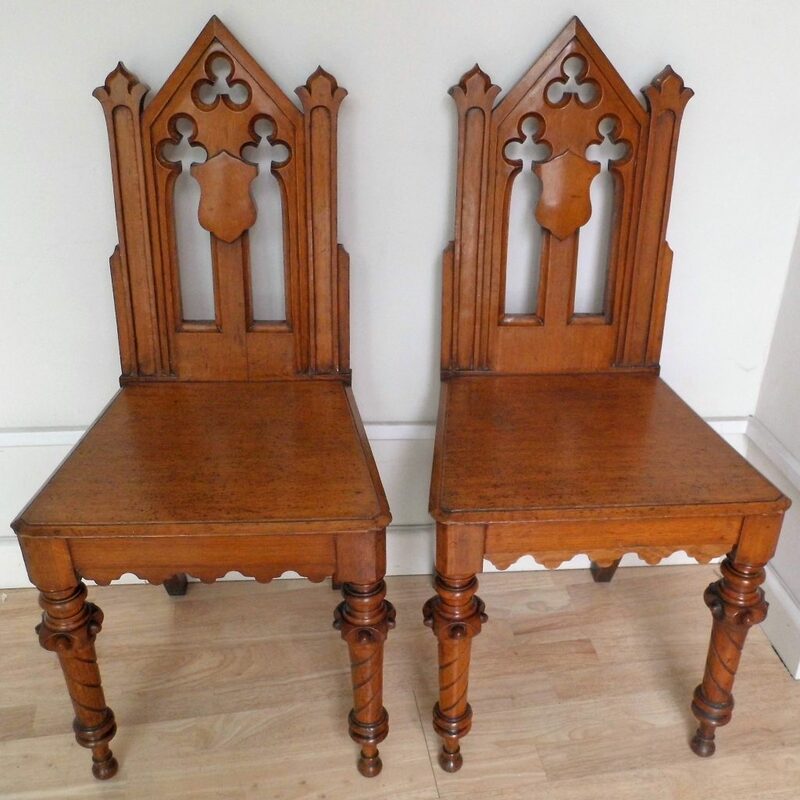 These Victorian hall chairs are made from golden oak in the Gothic Style and crisply carved in particular the legs. 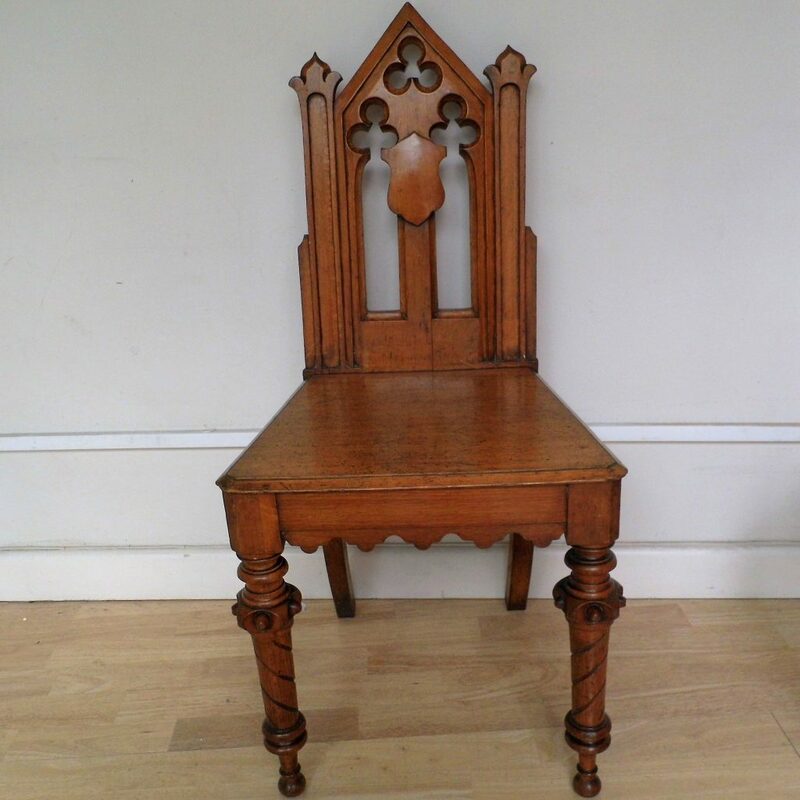 They are in good antique condition with very strong and unrepaired backs (which can be an issue with hall chairs) and wear and tear commensurate with age.